What are people willing to give for joy? What price are they willing to pay? Consider what people spend on vacations, luxury goods, entertainment, and stimulants and it’s clear the cost is sky-high. And yet all that time, money, and effort never seems to be enough. For so many people, joy remains elusive. And if they do find it, it is fleeting and unsatisfying. 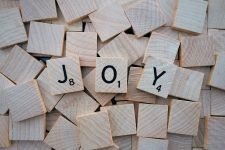 It’s ironic that during the holiday season—when we talk about joy the most—it seems to be the hardest to find. The holidays are stressful. We have a lot to do. We are pressed for time and money. Family conflicts tend to rise to the surface. But even in the midst of these things we can remain genuinely joyful. This sounds paradoxical, but as Bill Farley discusses in his recent book, The Secret of Spiritual Joy (to which this article is indebted), it is a supernatural work of the Holy Spirit.